"Hundreds of miles from home, Susannah faces an uncertain future as a mail-order bride on the untamed Dakota prairie. She looks to the future with a renewed heart. Yet in her wildest dreams, she couldn't predict all that awaits her." "Catherine Richmond was focused on her career as an occupational therapist till a special song planted a story idea in her mind. That idea would ultimately become Spring for Susannah, her first novel. 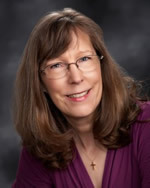 She is also a founder and moderator of Nebraska Novelist critique group and lives in Nebraska with her husband. For more about Catherine, please visit www.catherinerichmond.com." To celebrate her debut novel, Catherine and her publisher, Thomas Nelson, have teamed up to give away a Spring For Susannah Prize Package worth over $150! To enter just click one of the icons below and then tell your friends! But hurry, giveaway ends on June 27th. Winner will be announced on Tuesday, June 28th at 5PM (6PM MST, 7PM CST, & 8PM EST) during Catherine's Spring for Susannah Book Club Party on Facebook! Catherine is rustling up some fun for the party - she'll be chatting about the story behind her novel, hosting a book club chat, testing your mail-order bride trivia skills, and giving away some GREAT prizes! 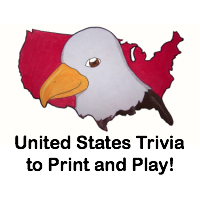 Don't miss the fun and tell your friends! Spring For Susannah is a wonderful novel about life as a mail-order bride on the prairie. It depicts the trials and tribulations of that life in such detail that you feel as though you're right there going through each hardship along with the characters. You will cry with Susannah when she loses her baby and rejoice in her happiness. The faith in G-d that the main characters show will inspire you to have more faith yourself. The book is a very quick read - I finished in over the course of two days while nursing the baby. The plot is engaging, and the prose is easy to understand and follow. The main characters each mature and develop throughout the book, and in the end you can see how different they are. Cost: You can buy Spring For Susannah for $10.15 on Amazon.com. Overall: We give Spring For Susannah a 10/10! How would you like to win my copy of Spring For Susannah? Please be sure to follow all instructions below when entering! I will delete ALL invalid and unverifiable entries. When there is an "additional info" box offered, write something there about which entry you are completing or I have no way to verify it. I will delete all entries that don't explain what they did in the "additional info" box!!! We were sent "Spring for Susannah" through LitFuse blog tours free of charge for the sole purpose of this review; no other compensation was received. All opinions expressed are my own. 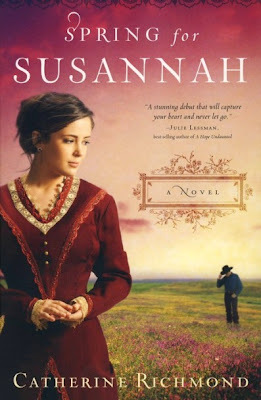 I entered the Spring for Susannah KINDLE Giveaway! I'd love to win the Prize Pack! I just found about the book yesterday from Goodreads. Thank you for your review of Spring for Susannah! I'm amazed you had time to read with a new baby... although, thinking back, in my case it wasn't lack of time, it was lack of functioning brain cells ;-0. Blessings! I entered the Spring for Susannah Kindle packet giveaway. And I don't know which part of the prize would be the best --- the Kindle 0r the story. they both sound good. I entered the Spring for Susannah contest on facebook. Would love to read this book! Sounds great.